Home » Articles » Syrian downing of F-16I begs question: Why didn’t Israel deploy F-35s? TEL AVIV, Israel — As the Israeli Air Force continues to investigate the Feb. 10 loss of an F-16I to Syrian anti-aircraft fire, experts here are privately questioning why, given the operational circumstances that denied Israel the element of strategic surprise, it did not opt to deploy its newest front-line fighter: the stealthy F-35I. In early December, the Air Force declared initial operational capability of the nine F-35s now in its possession. And from the aerial activity reported by residents near its home base at Nevatim, southern Israel, the aircraft are accruing significant flight time. Yet none of the operational F-35s were part of the eight-aircraft force package tasked with destroying an Iranian command center in central Syria. The command center was reportedly operating the unmanned Shahed 171 drone that Israel says penetrated its airspace in the early morning of Feb. 10. Nor were they tasked to lead the follow-on wave of strikes on 12 separate Syrian and Iranian assets in the punitive operation launched later that day in response to the F-16I downing. Perhaps these costly stealth fighters are too precious to use. Or perhaps the Israeli Air Force is not sufficiently confident in the aircraft or its pilots’ proficiency in operating the fifth-generation fighter. Given pledges by Syria and its Hezbollah allies of “more surprises” should Israel venture additional attacks on Syrian soil, will the Israel Air Force opt to use these front-line assets next time around? Anemic operational experience by the service’s F-35 pilots. Failure thus far to integrate required Israeli weaponry in the aircraft’s internal weapons bay. The need to reserve these assets for only the most strategically significant missions against a much more sophisticated array of enemy air defenses. However, all conceded — and on condition of anonymity due to the ongoing investigation — that the Air Force miscalculated. By failing to anticipate the threat from saturation attacks by Syrian-based air defenses — however antiquated those SA-5 and SA-17 missiles, which were deployed to support the Syrian government, might have been — Israel suffered not only the loss of its first fighter to enemy fire in 36 years, but a serious blow to its carefully crafted and well-earned aura of invincibility. With the acknowledged benefit of 20/20 hindsight, some in Israel are wondering where the F-35 was. “They were sure the F-16I could easily survive the environment, as it has done so many times before,” a retired Air Force major general told Defense News. 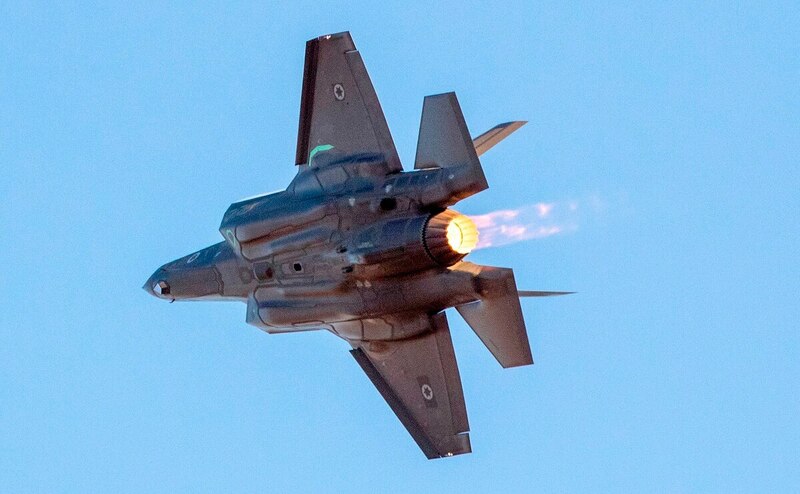 Another former officer surmised that the weaponry Israel used in that initial strike on the T-4 airfield in central Syria was not yet integrated into the weapons bay of the F-35 stealth fighter. “If it was determined to use our own special weapons for this particular scenario and this specific formation, what good would it do to hang it under the wings? You’d lose the stealth,” the officer said. The Israel Defense Forces, or IDF, refused to specify which missiles were used in the initial attack on the Iranian command-and-control trailer, but multiple sources point to the Israeli SPICE, an autonomous, all-weather, precision-attack weapon that the Air Force is well-practiced in delivering at standoff range. In conjecture officially denied by Conricus, the IDF spokesman, one officer suggested Washington may have discouraged or even vetoed Israel’s use of the F-35 at this point in the multinational program out of concern that Russian and Iranian specialists in Syria could gather information on its radar-evading capability and other characteristics. 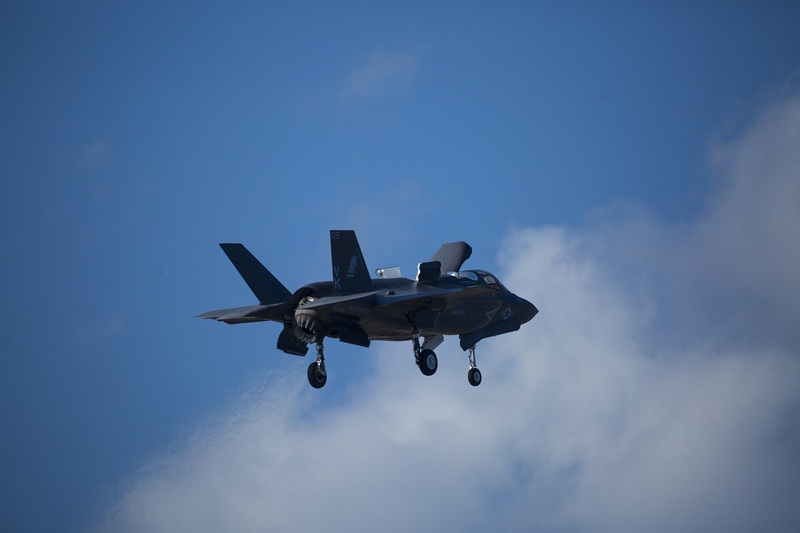 The F-35B’s hover landing is its signature move. This year, pilots from Marine Air Station Iwakuni will get to do it on an amphibious ship for the first time. Retired Israeli Air Force Brig. Gen. Abraham Assael, IAF Reserve Brig. Gen. Abraham Assael, CEO of the Fisher Institute for Air and Space Strategic Studies, was the only officer who agreed to be identified by name. According to the former fighter pilot, the Air Force had no reason to risk “strategic assets” against what was termed a “strategically insignificant” target. “In the past, everything went very well, so why jeopardize something so valuable and precious in an operation that used to entail no significant obstacles?” Assael said. He cited the small number of F-35s in Israel’s possession and the relatively meager operational experience accrued on the aircraft as reasons for not including them in the Feb. 10 strike operations.